Tantra Yoga is an ancient spiritual practice that uses sexual energy to attain higher states of consciousness. While Tantra certainly has sexual connotations, the primary goal is mental, physical and yes, sexual liberation of the individual. In Western society the true meaning of this inner technology has been lost, and this form of Yoga is used as a way to engage in sexual practices that would otherwise be unacceptable by regular society. This is often noted on websites that offer Tantric Massages, where the primary objective is sexual release, instead of spiritual growth. For a real Tantra Massage Therapist follow the link. Using a primarily spiritual process to fulfil sexual compulsions and inhibitions is wrong and can even be dangerous. Eventually it could even lead to mental instability. The Tantra Warriors are here to bring back the true meaning of this ancient spiritual art. In Eastern traditions, Tantra often goes hand-in-hand with Kundalini Yoga. Yogi’s practicing this form of yoga try to awaken the “snake” within to reach understanding of the spiritual. 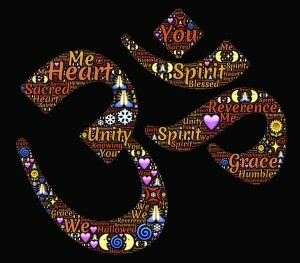 By awakening the Shiva and Shakti energies through Tantric meditation and Kundalini (through pranayama [controlled breathing], chanting mantra and yoga asana exercises) the enlightened one can tap into the greatest source of energy in the Universe and experience a closer union with The Divine. What most westerners do not realize is that when you actually engage in the sexual act and get release, you lose the whole purpose of the exercise. The real purpose is to use the energy you generate to seek union with the universe. Tantra means you are able to use your energies to make things happen. If you can make your mind razor sharp to cut through everything, this is also one kind of tantra. Tantra Warriors is dedicated to expanding true Yoga and Tantric knowledge.